One of the oldest and most popular survey sites having launched in 2006 with just 12,000 members. Offers a number of payment methods including Paypal cash, bank transfer, Amazon vouchers and prize draws. The Opinion People panel is one of the oldest and most popular survey sites having launched in 2006 with just 12,000 members, they now have over 425,000 in over 11 European countries including the UK. The site is owned by Norstat Deutschland GmbH, a market research provider that is based in Europe. By collecting data collected through online surveys they help to influence big companies decisions each and every day. The Opinion People website is free of charge to join and offers you the chance to take part in online surveys and other studies in return for cash payments or online gift vouchers. To apply to become a member simply fill in the required details on their home or registration pages. After applying you will either be automatically selected to become a member or you will receive an invitation when they are looking for new members. If you are selected instantly then you will receive an email which you must click on to confirm your address, after this you are are a full member and can login to the site. On your first login you will be presented with 6 profile surveys. Its very important to complete the profilers as this will dramatically increase the probability of being selected to participate in their paid surveys and studies. More surveys equals more points meaning you can get your cash much faster so the profile surveys are well worth doing. Also as an additional incentive you will be rewarded with 10 bonus points for completing all 6 in full. 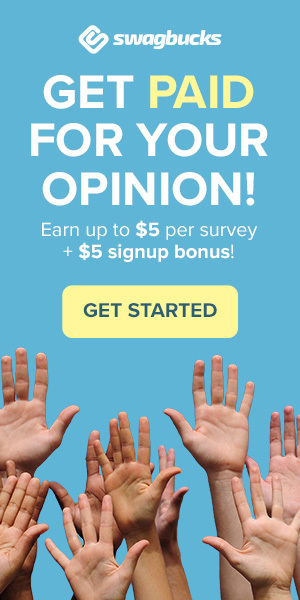 When a paid survey becomes available you will be sent an email which will contain the estimated time it will take to complete and how many points you will be rewarded with. If you are happy with the reward then simply click on the start link in the email to complete it. For each survey you complete its possible to earn up to as much as 5 GBP in points. Once the survey is complete your points will be added automatically into your account. If you are screened out of a survey then you will still be entered into their monthly prize draw. You will also get one entry for each online survey you complete. There are some great prizes including the latest smartphones, Amazon vouchers or extra bonus points to top up your balance. The prize winners will be chosen randomly and emailed with details of the prize. Once you have collected 100 or 150 points you can make a claim for either an Amazon gift voucher or cash. Cash is sent via Paypal or you can choose to have it sent direct to your bank account. The minimum amount of points you must collect for a voucher is 100 points which equals one £10 voucher. To get the money you require 150 points which is £15 cash. A smartphone app is being considered for the future which will enable you to earn additional points whilst on the move. I joined this site over a year ago and completed many surveys until i got to 375 points to which i then opted for 300 (£30) to be paid into my account and 75 for prize draw. This was 23rd August and 45 days later i still havent received a penny. I have emailed a few times but no response. How can it take this long to pay out your money…must be a sham!! It can and unfortunately does take this long for some survey sites to process payments. I would allow up to 60 days in some cases. If its still not received within 60 days try contacting them via the contact form on their website, there is an option there for ‘payment not received.’ They are a big market research company so should respond. You could also try getting hold of them via their Twitter or Facebook.